Canada’s cannabis industry is about to explode. Today’s blog post is by Kamran Aryah, associate attorney with the firm. As Canada gears up for federal recreational cannabis legalization on October 17, American Cannabis growers (both Hemp and Marijuana) are left looking up with longing eyes to their progressive Northern Neighbors. Canopy Growth is Canada’s largest marijuana grower. As a company that has prided itself on being legal at every level where it operates, it is eagerly awaiting the October 17 recreational legalization date. The Cannabis market in Canada is estimated at roughly $7 billion dollars. While the accuracy of these projections is hard to determine, global demand for legal cannabis products is on the rise. The market volatility in this industry was recently on display during a wild day of trading of stocks in Tilray, that saw trading of close to $6.5 Billion dollars of Tilray shares. This may partly be a result of broader market volatility, and uncertainty of trade policy between Canada and the US. However, both Tilray and Canopy each are poised to be market leaders in international export of both medical and recreational cannabis products. So where does this leave US Industrial Hemp growers? Our complex web of state and federal law contains myriad inconsistencies, even within our domestic industrial hemp pilot programs. Industrial hemp growers remain uncertain as to the legality of transporting their hemp crops across state lines, let alone internationally. As I’ve written about before, Congress seems poised to pass the 2018 Hemp Farming act, which would clarify the federal legal status of industrial hemp, making hemp and by-products legal for sale in all 50 states. However, this simply isn’t far enough. American companies are at a huge disadvantage as compared to our Canadian counterparts, who have a jumpstart on the Cannabis industry worldwide. What I remain interested to see is what kind of pressure will American companies start to levy on US lawmakers once the Canadian legalization begins to play out, bringing an influx of millions of dollars of revenue to Canadian businesses. 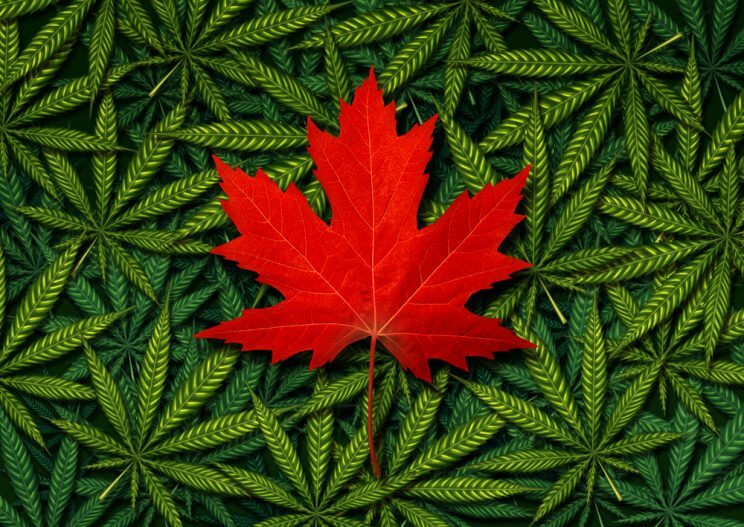 Canada is clearly leading the way on global cannabis reform; the question remains will the United States follow suit quickly enough to capitalize on this nascent market before Canada asserts its dominance as a global provider of quality hemp and marijuana products? Or will the archaic federal marijuana prohibition persist rendering US Canna-businesses as impotent as the low-THC industrial hemp that individual US states are permitted to grow? Only time will tell. Kight Law Office represents legal cannabis businesses. You can contact us by clicking here. I’m am so excited about the cannabis Canadian boom! Great post! Canada is brave! Nice achievement indeed! Yes, it is a great achievement. Thanks for posting, Karen.